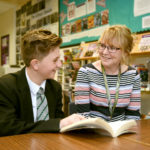 The Learning Resource Centre (LRC) provides a welcoming, inclusive learning environment actively supporting teaching and learning within the school. It achieves this through the provision of many thousands of books, magazines, vetted website references and specific resource packs. There are 16 computers with internet and printing facilities providing a valuable tool for research, information literacy and homework. Displays and activities change regularly reflecting the life of the school and events such as Author Visits, the Carnegie Awards and Hampshire Book Awards take place throughout the school year. 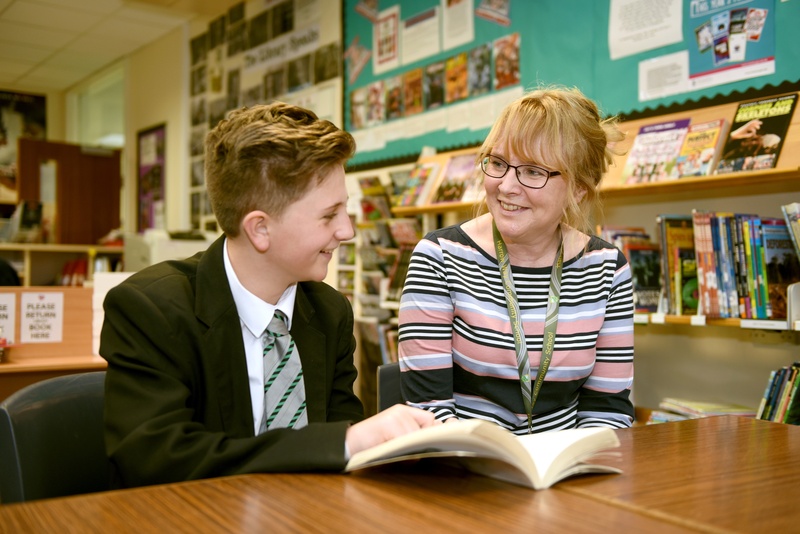 The centre hosts and actively supports a variety of clubs and lessons during the school week as well as fostering a love of reading through its Library Service and Book Club. The LRC has close links with the English Department and all Year 7 students visit the Library regularly during timetabled English lessons. The LRC is open from 8.00am to 4.00pm daily.